A satisfying line-up of marine activities! 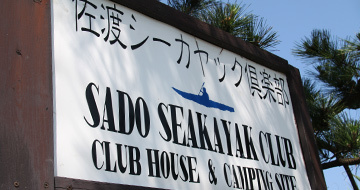 Enjoy Sado’s waters to the fullest on your summer vacation! 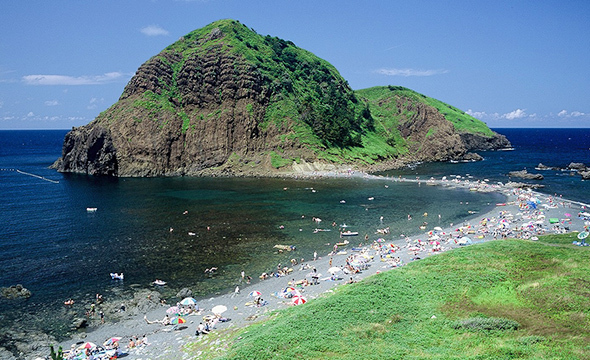 Sado Island, with its coastline stretching about 280 kilometers, is said to have all sorts of coastland formations, enabling visitors a chance to enjoy not only sea-bathing, but also various other marine activities. 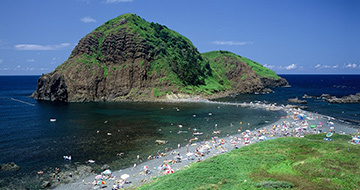 On Sado Island, you can find a great many beaches and coasts where you can enjoy marine activities like sea-bathing. 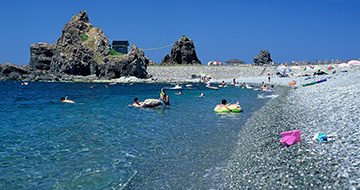 “Futatsugame Bathing Beach,” located on the northern tip of Sado Island, was awarded two stars by “Michelin’s Green Guide Japan,” for its scenic beauty and the transparency of the sea water. 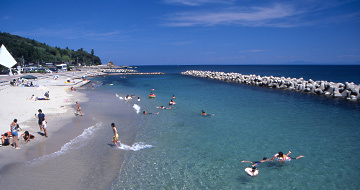 It has also been selected as one of the “Top 100 Sea-Bathing Spots” in Japan. 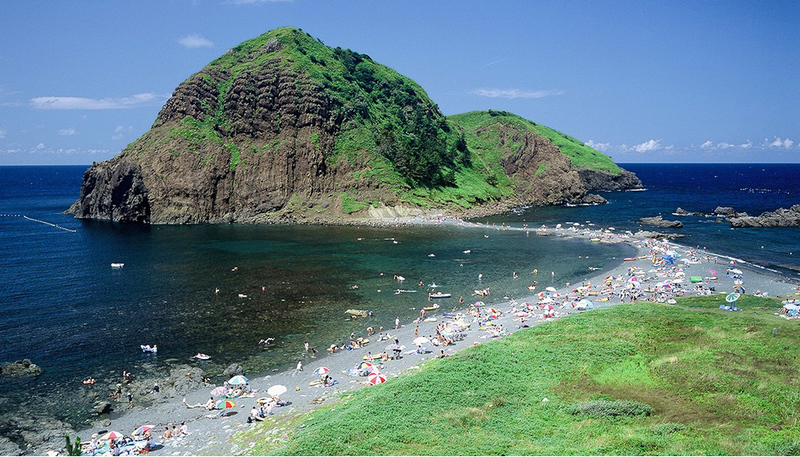 “Sobama Beach,” located on the Ogi Peninsula at the southern end of Sado, features a long and shallow sandy beach, which stretches four kilometers, and where you can relax and spend your time leisurely. The cactus colony near the beach will make you feel like you are in a southern country. 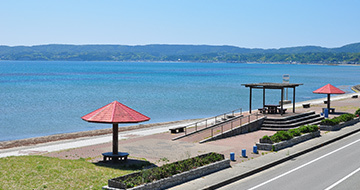 “Sawata Beach,” near the shopping district, boasts a very convenient location, and offers an ideal place for watching the evening sun setting beyond Mano Bay. 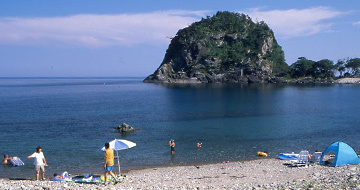 A view of fantastically-shaped rocks: "Futatsugame"
Every year a large number of divers visit Sado to enjoy its crystal clear waters, its tremendous population of fish, and its unique and characteristic submarine topography. 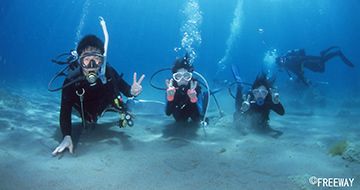 In addition to ever-popular diving areas like Kitakoura, where you can swim with the famous kobudai (bulgyhead wrasses), and Kotoura, whose charm is its varied topography, you can find many diving spots in various parts of Sado. 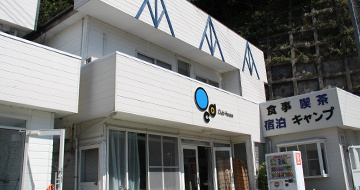 Hiranezaki, located in the Aikawa district, has an undersea hot spring, where you can make “onsen tamago” (literally: hot spring eggs) while diving. 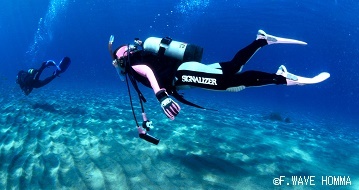 Even if you don’t have a diving license, you can enjoy the marine world through snorkeling or an introductory diving course. 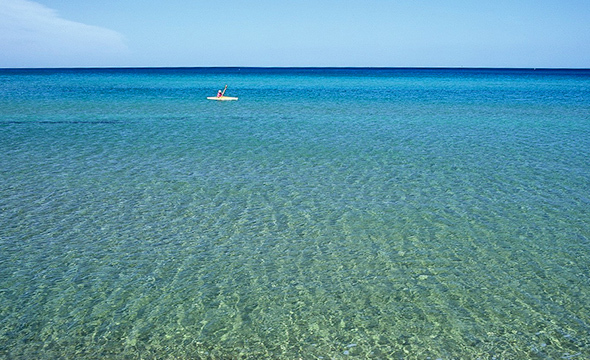 Sea kayaking is becoming popular nowadays. 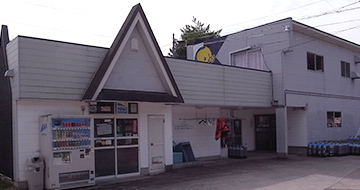 Kayaks will give you access to places which cannot be reached by boat, such as Ogi’s caves; including “Blue Cave” Ryuodo, and Sotokaifu’s cove. 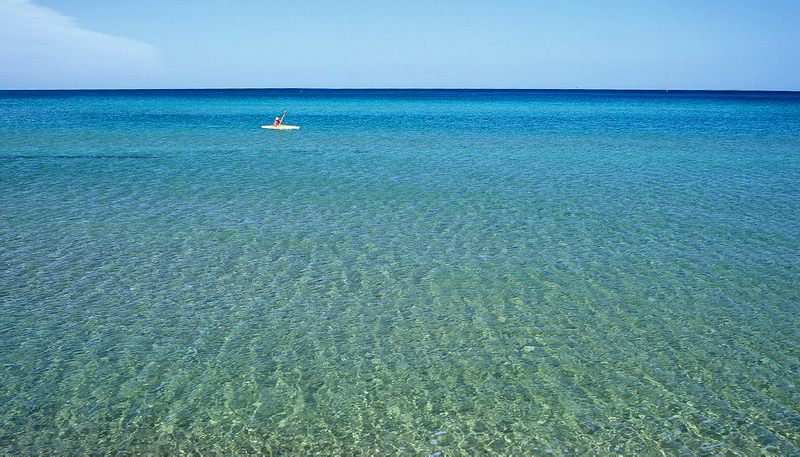 You can see shoals of fish swimming underneath your kayak, or hidden landscapes that can only be seen from the sea. 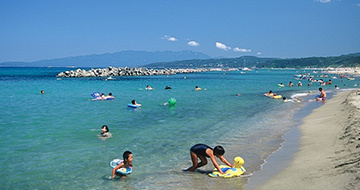 How about swinging your body to the relaxing rhythm of the waves or leisurely loitering on the sea? If you want to enjoy marine sports even more, you can try your hand at jet skiing or wakeboarding. Please experience the exhilarating feeling of zipping around on the water. It’s also great fun to get on a banana boat, making merry with your family or friends. *Driving a jet ski requires a license.